Данный набор матриц предназначен для снаряжения нарезных патронов калибра 223 Remington. 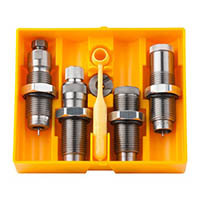 223 Remington Ultimate Rifle 4-Die Set. Choose this die set for maximum versatility. 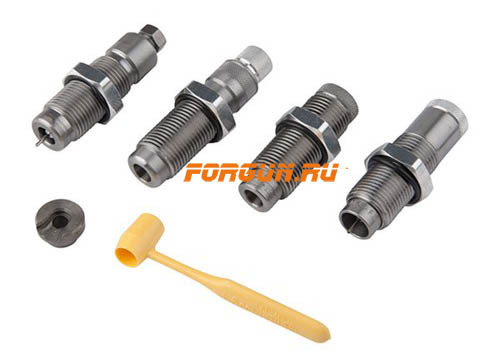 The set features a full length-resizing die to return brass to factory new dimensions, perfect for reloading brass fired in other guns. The Collet Neck sizing die is used on your fire formed brass giving you best possible accuracy. No case lube required when using the Collet Necksizing Die and cases last almost forever. The Easy Adjust Dead Length Bullet seating die foolproofs the bullet seating adjustment, and assures perfect seating depth every time. The Factory Crimp die provides a secure crimp on bullets with or without a crimp groove. 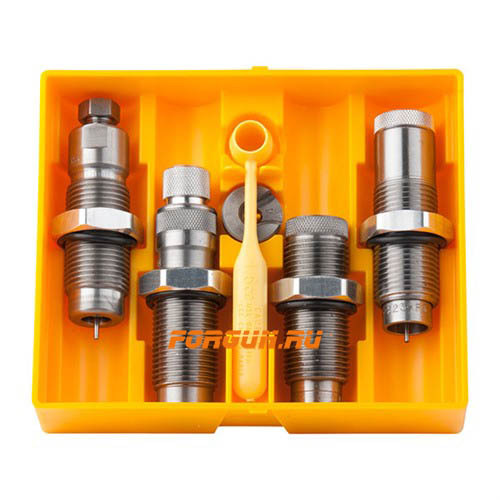 In most cases it helps accuracy by providing a uniform higher start pressure and gives the finished cartridge Factory like accuracy and dependability. The set is complete, with shell holder, powder measure and famous Lee load data featuring all common brands of powder organized in a easy to read logical format.